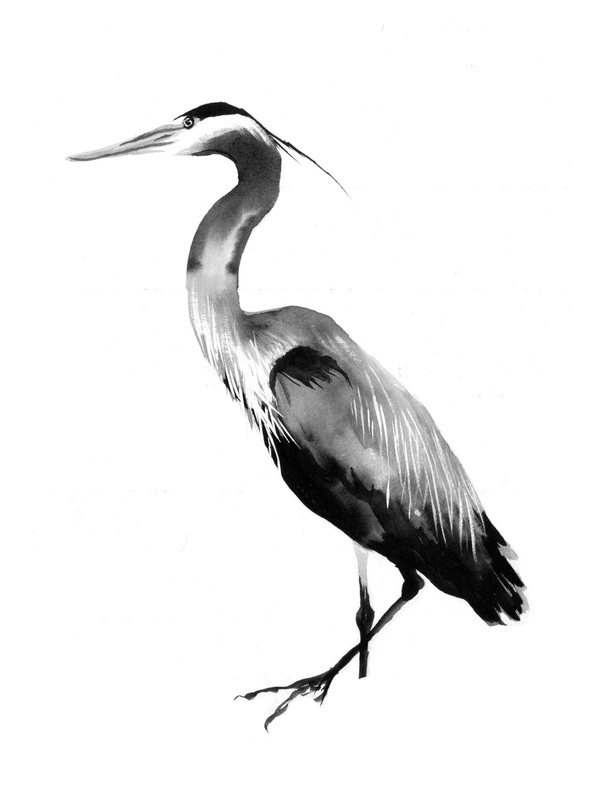 I made a Heron. Check it out. There may be more of these coming soon. Details to follow (I know, the suspense is just KILLING you). Hello 2010! Here are some excerpts from yet another sketchbook. 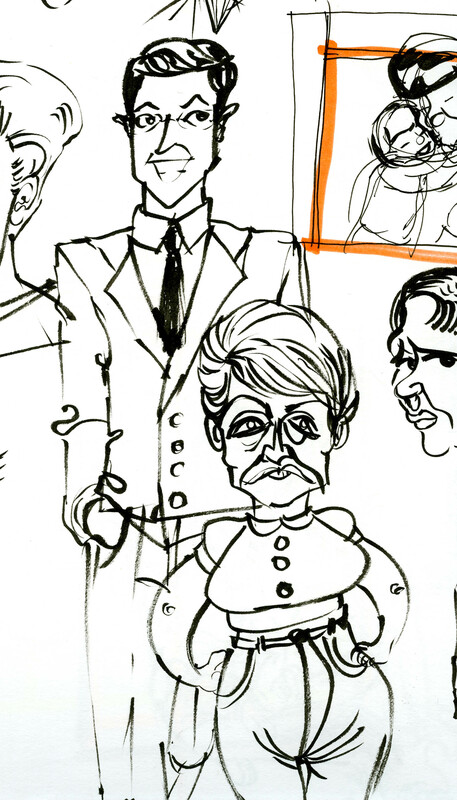 The first is Steven Colbert and Amy Sedaris from Strangers with Candy. 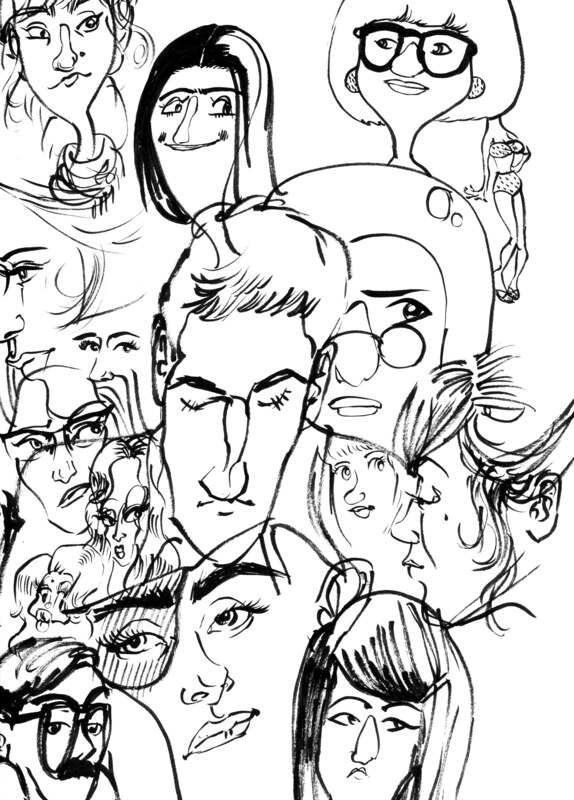 The second is just some random heads, some of people I know, some invented.